AND COMPETE IN ROBOCUP 2014 !!! Registrations until July 10th !!! 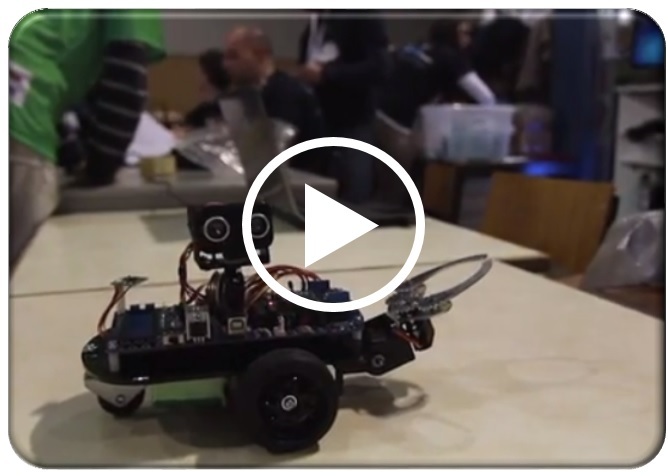 LEARN TO BUILD A ROBOT WITH ARDUINO ! 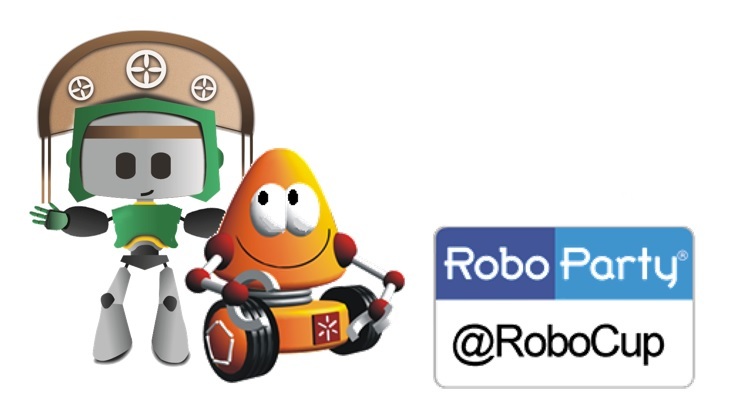 3 CHALLENGES FOR YOUR ROBOT´S FUN IN ROBOCUP 2014 ! FEEL YOURSELF LIKE A ROBOCUP COMPETITOR ! It is important to point out that participants will be taught some basics about electronic components (resistors, diodes, capacitors, switches, transistors, etc. ), basic principles of mechanics, and programming (Arduino and C Language). To make the learning experience more engaging and fun, cartoon slides are used in some training sessions. Participants register (same registration as other RoboCup Leagues) as a team: 4 persons per team, normally 1 adult and 3 youngsters. For the event, each team needs to bring one laptop computer to program the robot. Upon arrival, the team receives a robotic kit, and they go to their assigned table, where they will spend the next 3 days working. The event will be from Monday July 21st, 2014 to Wednesday July 23th, 2014. The event starts with a training session on “how to solder electronic components” followed by “how to assemble the Printed Circuit Board”. Teams will spend next few hours soldering the components on the PCB. The next step is “how to assemble the mechanics”, and they will spend 2 to 3 hours assembling the robot mechanics. After assembling, they will learn “how to program the robot”. The training on programming provides many examples. The participants are supported all the time by well trained volunteers – the so called “tutors”. Normally 1 tutor takes care of an ‘island’ of 4 tables (4 teams). On the last day, there are three optional challenges (Obstacles avoidance, Race of the Champions, and Dance). For the Dance challenge teams participate as SuperTeams, consisting of four teams grouped together [islands], usually teams that have been next to each other during the event. For the other two challenges, teams participate individually. Each team must bring one laptop computer for programming the robot. The required software to program the robot is Arduino IDE and it’s free and available on the Internet (http://arduino.cc/en/main/software). Students from 11 years-old may participate and must be enrolled in primary or secundary school. All robots are guaranteed to leave the event in proper working conditions. The volunteers/tutors help participants, but should some major problems occur, the staff would help solving it. In this section, the technical details are described, with regard to the robotic kit, the tools, electronic repairs, etc. The kit is an Open Source platform and is the result of 8 years of constant evolution, and has been specifically designed for RoboParty taking into account its main purpose, which is teaching the main areas of robotics (electronics, mechanics and programming) during assembled tasks, like components soldering, mechanical assembled and robot programing. This robotic kit includes a line follower sensor! The Bot’n Roll ONE A platform is compatible with One Wire, I2C, SPI devices and any available Arduino Uno compatible shields. The standard IDE Arduino software is used to program the robot. Many source code examples are supplied to participants by the staff, and many others are also available on the internet. The following pictures show the contents of the robotic kit box, the line follower sensor and final assembled kit. All the tools necessary to assemble the Bot´n Roll ONE A robot are included with the kit. After assembling the robot will look like the one in the figure below. THE ROBOT WILL BE LEFT FOR THE TEAMS !!!!! After building up the robot and programming it, youngsters like to see it working. This is the most rewarding part of any event. The challenges are therefore of extreme importance on RoboParty. It is a chance for the participants to test their hardware/software, to compare their robots with other teams, to enhance their motivation to pursue their learning on robotics and to experience participation in similar challenges as RoboCupJunior leagues. Three different challenges are recommended: Obstacles avoidance, Dance, and Race of the Champions. The best teams of each Challenge will receive special awards. All participants will receive certificate. Each team registration is US 550 ( ~ R$ 1.250,00) and must be made thru REGONLINE SYSTEM. 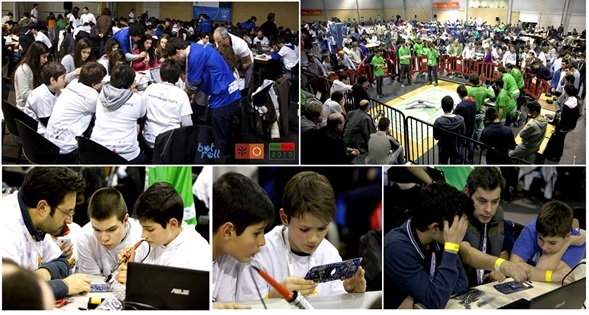 The registration fee includes one team with one mentor and up to three students, as well as a complete kit of the Bot´N Roll ONE Robot for the team. THE REGONLINE SYSTEM will close on July 10th, 2014. Teams must also be responsible for their own transportation and accommodations. 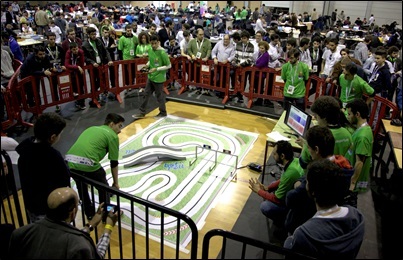 You can not miss this incredible opportunity to win a robot kit, learn how to build and program it and compete in RoboCup 2014! !